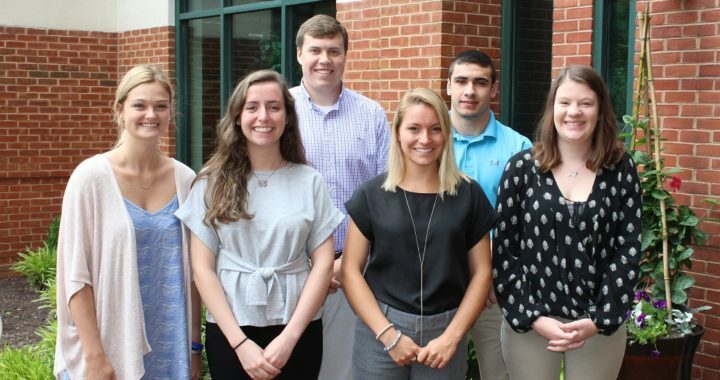 ​Easton Utilities welcomed seven interns to participate in the summer-long internship program, now in its ninth year. The internship program is a formal, comprehensive experience consisting of tours, learning workshops, projects and presentations. The tours and workshops educate the interns on the various services, infrastructure, and demands of each department at Easton Utilities. While completing this in-depth orientation, the interns are fully submerged in their respective departments for a true hands-on experience. In the first few weeks, they each select a specific project to focus on during the internship and are required to give a presentation at the culmination of the program. “Our goal is to expose these students to a real-life experience in an active business environment and we set high expectations for them,” said Melissa Book, Human Resources Assistant for Easton Utilities. The program is led by Book with support from Athena Mellis, Systems Analyst in IT, who was also an intern in 2015. The internship experience has helped many students secure full time positions with both Easton Utilities and elsewhere upon graduating.